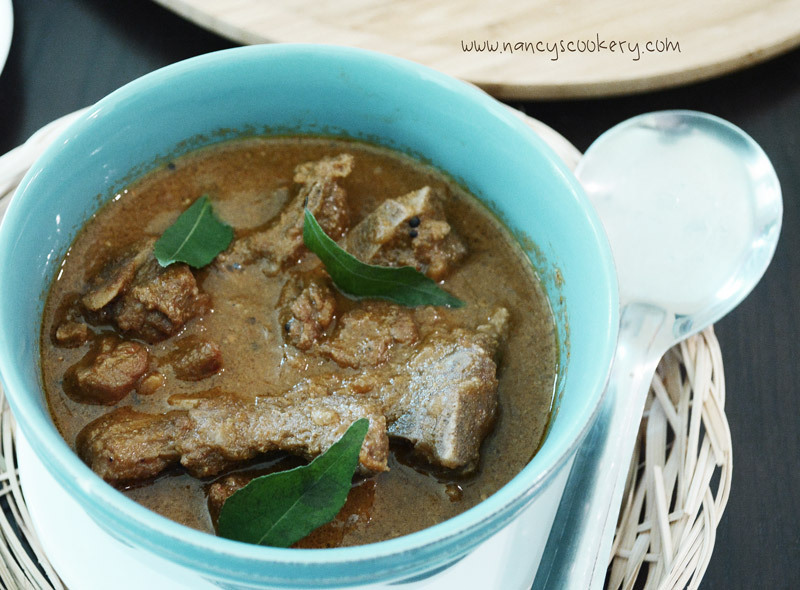 Indian goat curry also called mutton curry in South India. 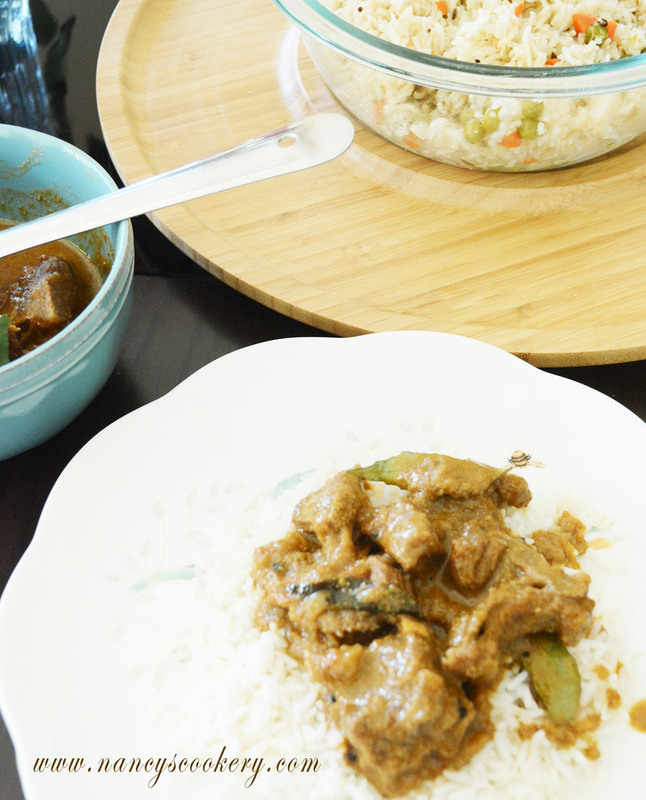 Goat curry is cooked with coconut milk in pressure cooker. 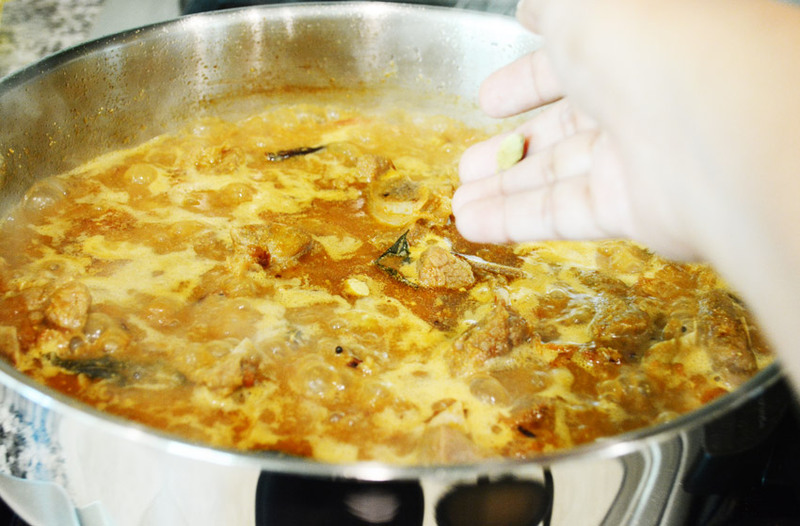 Goat curry is prepared in coconut milk using pressure cooker. this goat curry tastes delicious with all Indian spices combined with coconut milk. 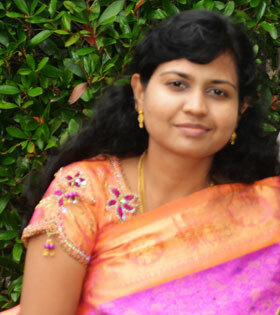 We like to have mutton curry / goat curry with idly, idiyappam, appam, dosa, rice , chapati and even parotta. 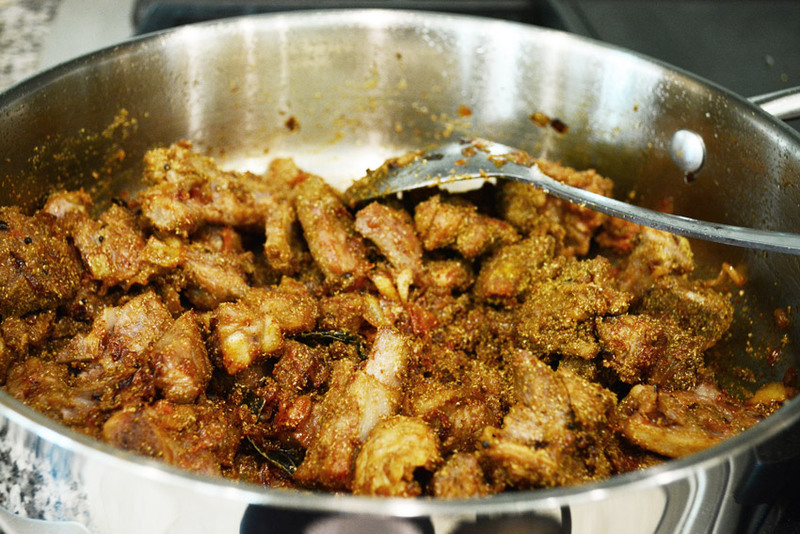 Try this yummy goat curry and you will definitely like it. 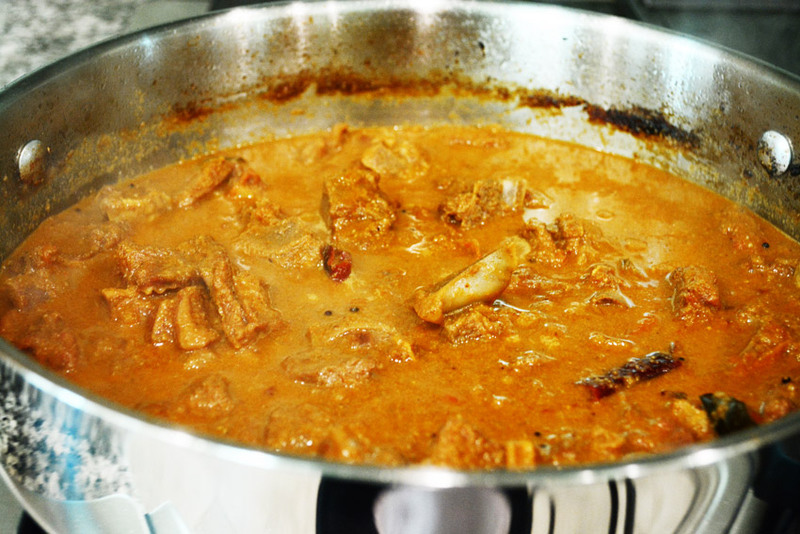 Goat curry is served in most of the marriage functions in India. My mom don't like non veg but she prepares them for us. so she uses potato in the curry with the meat for her to eat instead of the meat. But then I found out that the potato is also an secret ingredient that enhances the flavor. I used to add potato with the goat curry but this time I am out of potato and didn't used it. But you be sure to add one potato which enhances the flavor. 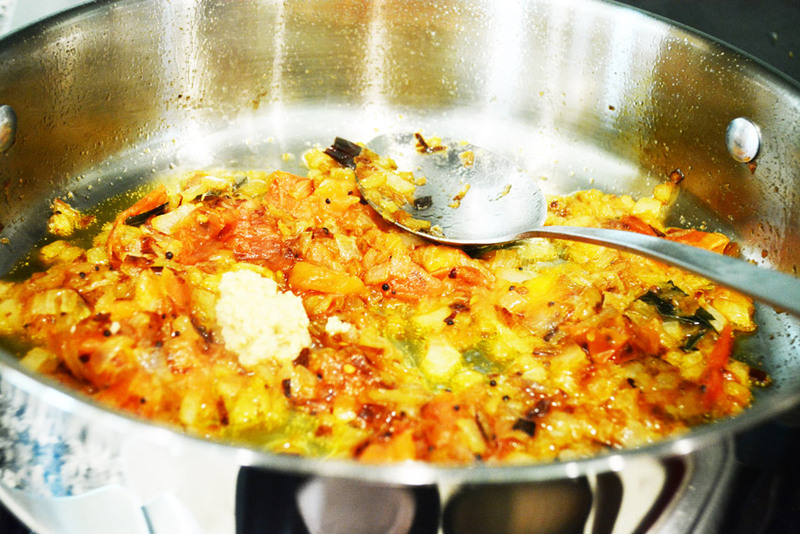 When the tomatoes are mushy, throw the ginger garlic paste and saute till the raw smell goes off. 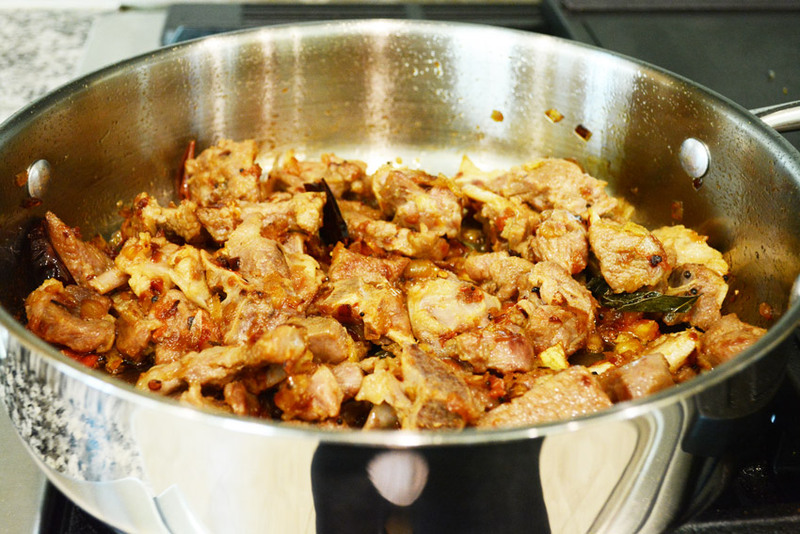 Then saute the potato(if using) and cooked mutton pieces without water in them. Combine to it the turmeric powder, coriander powder and red chilly powder and saute for a minute and cook it with 2 cups of water in high flame. Let the above curry boil and when it starts boiling throw into it a green whole cardamom and meanwhile grind the coconut paste with the ingredients listed under "to grind"
Let the curry boil for 20 minutes after adding the cardamom and when the curry reaches the desired consistency, pour the ground coconut paste and simmer the curry for 5 mins and switch off the flame. 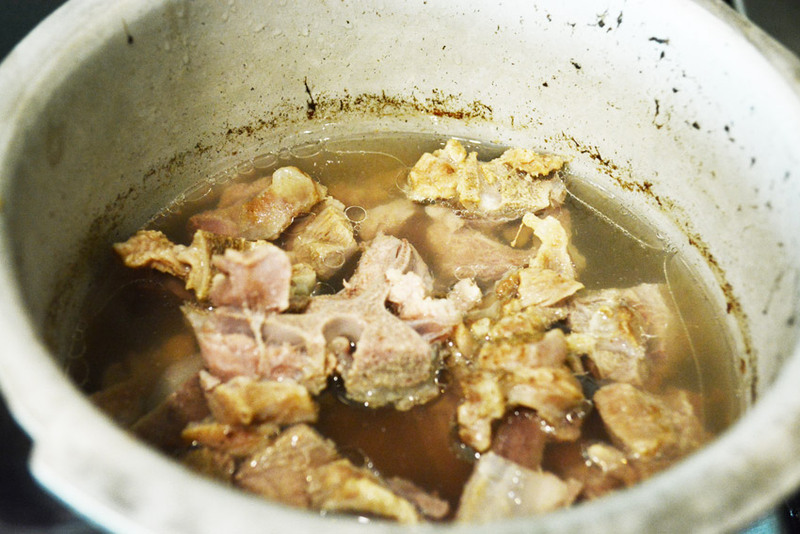 Cook the goat meat in a pressure cooker with salt and enough water to cover the meat in medium flame for 3 to 4 whistles. In the mean time heat oil in a pan and throw the mustars. 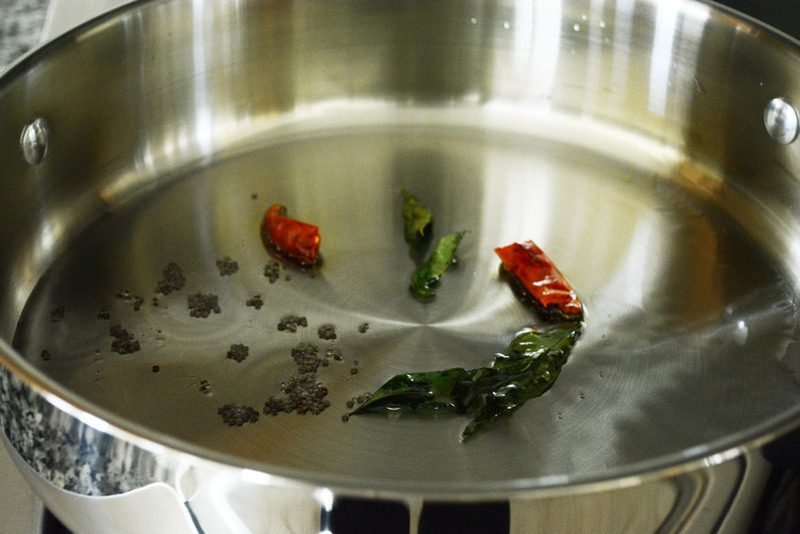 When it splutters, throw the red chilly and curry leaves. 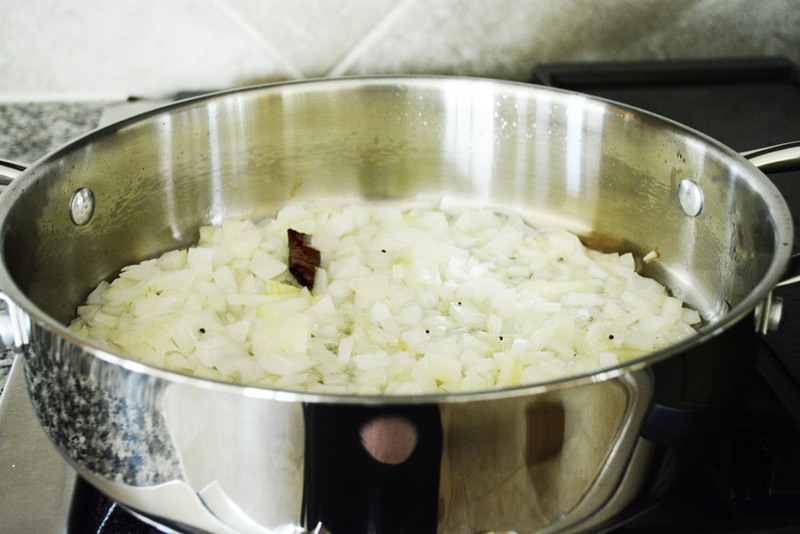 Then saute the chopped onions in the same pan with little salt in high flame. Take care not to burn the onions and keep stirring. Whwn the onions turn golden brown, throw the tomatoes and saute till they are smashed and mushy. 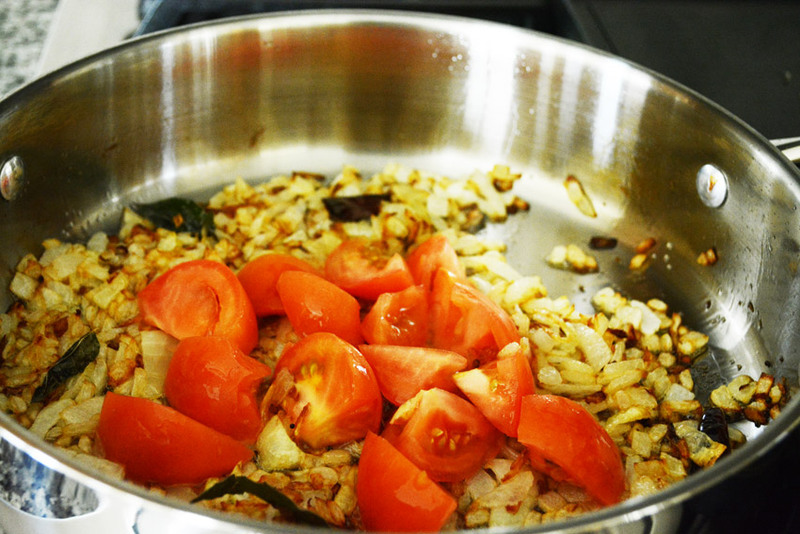 Now saute ginger garlic paste along with onions ana tomatoes until the raw smell of ginger garlic paste goes off. Now the goat meat / mutton is cooked well. Throw the potato(I didn't have potato at home while making this time. So didn't used it. be sure to use potato--peeled and cubed. This definitely enhances the flavor.) 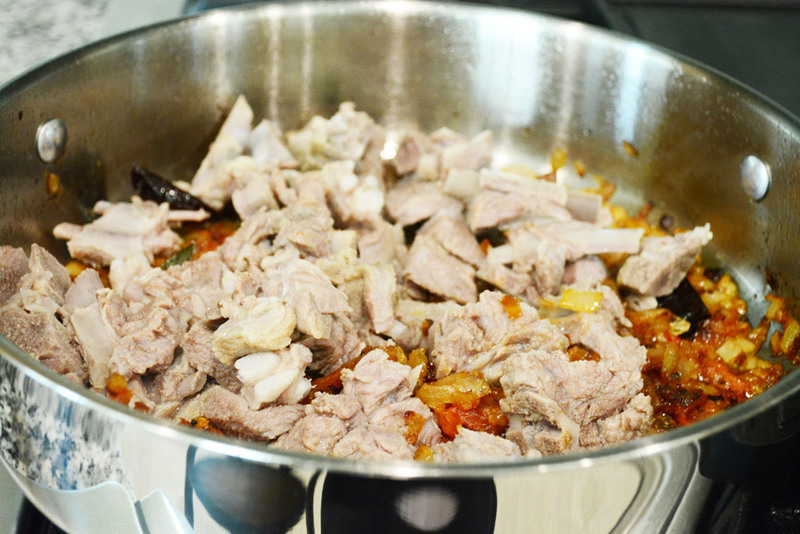 cooked mutton pieces alone without water into the same pan. saute them until they are mixed well with onion and tomatoes masasla. 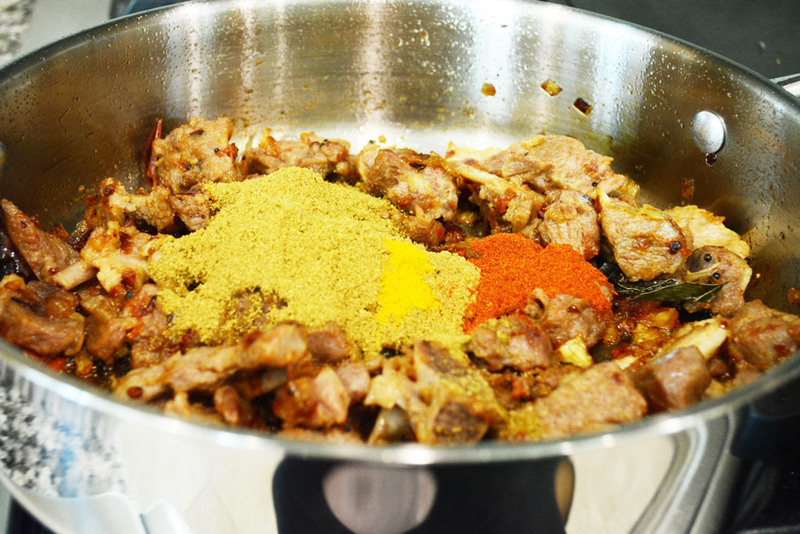 Then throw in the spice powders turmeric powder, coriander powder and chilly powder. Adjust the quantity of red chilly powder according to your spice level. Stir everything in medium flame until the powders and masala meat are combined well. Now pour the cooked meat water and add plain water if necessary. 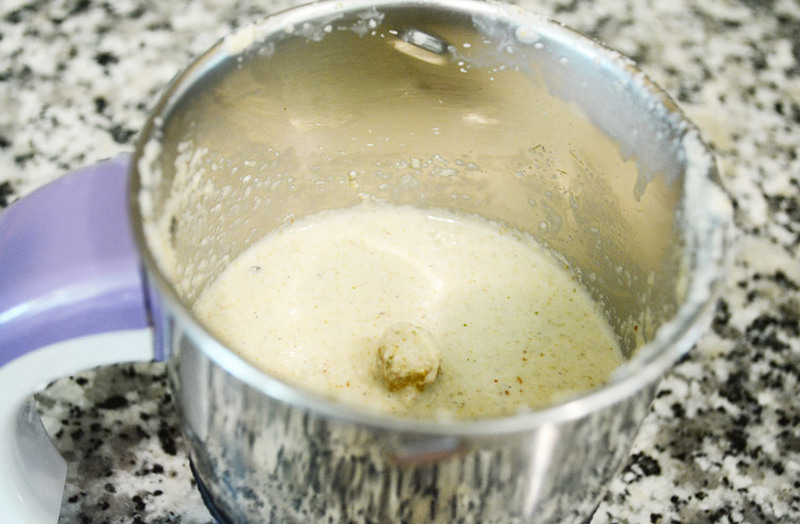 When the gravy starts to boil, add the green cardamom for added flavor. 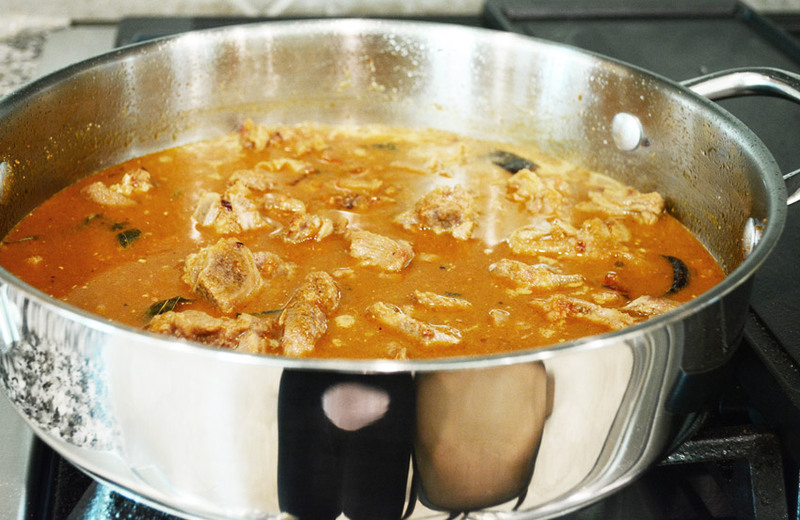 Then allow the curry to boil in high flame for 10 minutes and the reduce the flame to medium. 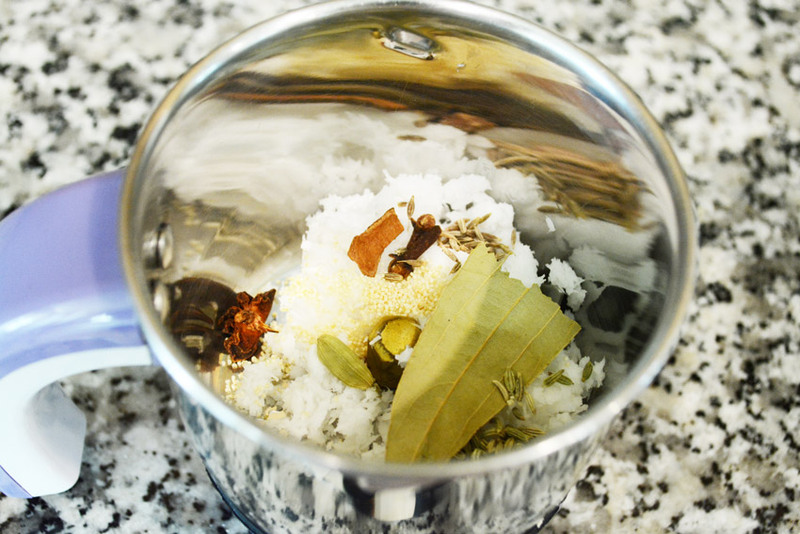 While the curry is cooking, take the coconut and the whole spices given under "To grind" ingredients list in a blender jar. Grind them to a fine paste by using little water. 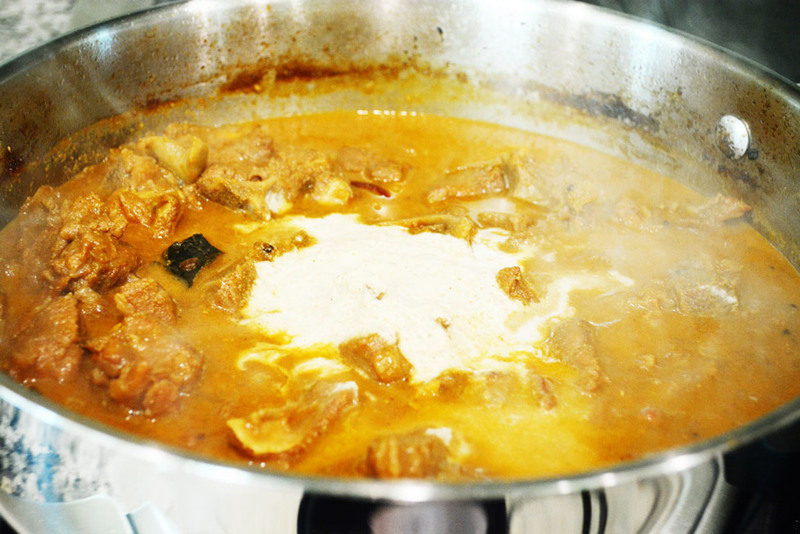 When the curry reaches desired consistency after 20 minutes of cooking, pour the ground paste into it. After pouring the cocnut paste don't boil the curry but simmer it for 5 more miutes and switch off the flame. Delicious yummy goat curry is ready. Serve it hot with rice, pulao or chapati, idly as you like.